Page updated Feb 22, 2019. First published Nov 30, 2018. Low carb diets are becoming popular, as more and more people look to improve health and lose weight by ways that don’t involve counting calories. According to many experts, a low carb diet has some surprising advantages over other methods of weight loss, but there are concerns about the health implications too. We take a look at Carbs and the Pros and Cons of the Low Carb Diet to help you make up your mind. Once you get used to eating a meal without the comfort of carbs such as bread, potatoes, and pasta, you will find that your appetite reduces. 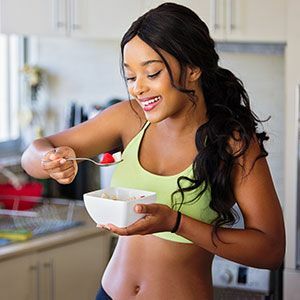 There have been numerous studies that show that a diet consisting of protein and fat reduces your calorie intake too so you will probably find that you will lose weight without really thinking about it. That said, it is not easy at first and many people struggle with hunger pangs and tiredness. After all, carbs are the body’s main source of energy so it can feel like you are running on empty until you get used to it. Tip: Don’t go all out for omitting all carbs from day 1. Take a look at your usual diet and make changes such as cutting out sugar and replacing bread with wholemeal. Try substituting breakfast cereals with cooked foods such as eggs, and over the next few days start reducing your carb intake at lunch or dinner. Easing yourself into a low carb diet will be easier than simply going cold turkey right at the beginning. If you want to lose that spare tyre fast, a low carb diet is probably the fastest way to achieve it. Abdominal fat is dangerous for health. As well as being composed of subcutaneous fat – the type of fat stored under the skin, it is also composed of visceral fat – the type that gets in around vital organs, so losing this improves the chances of avoiding heart disease. According to dietary experts, losing abdominal fat also helps us avoid metabolic diseases such as diabetes type 2. A low carb diet is the probably the best way to lose excess abdominal fat fast. It sounds counter-intuitive that a low carb, high-fat diet will improve cholesterol levels, but it is important to remember that although cholesterol is all the same, the lipoproteins which carry the cholesterol around the blood are not. HDL (high-density lipoprotein) cholesterol, or good cholesterol, is taken to the liver where it is then excreted as waste or reused. LDL (low-density lipoprotein) takes cholesterol away from the liver and into the body where it accumulates around vital organs, especially the heart. When you eat a diet such as a low carb diet which is high in fat, HDL cholesterol is increased. In fact, following a low-fat diet to decrease cholesterol does not seem to work as well as a low carb diet, and may reduce the beneficial HDL cholesterol. Not all health experts share this opinion. Carbs are broken down into sugars by the digestion and once this glucose enters the bloodstream, your blood sugar levels quickly rise. At this point insulin, a hormone kicks in and starts the process of your cells storing the glucose or burning it for energy, so the blood sugar is normalised. However, because some people consume so many carbs, insulin can become overloaded and cease working properly. This insulin resistance is the major cause of type 2 diabetes. Cutting out carbs can prevent this from happening and lowers blood sugar and insulin levels. Tip: If you do have type 2 diabetes, you will need to speak to your doctor before cutting out carbs so that your medication can be adjusted. If your body cannot use carbs as an energy source, it will look to stored fat to use as energy. Stored fat is used by the body as a defence against future food shortages or cold, and the idea of ketosis is to use your own body fat for energy rather than food. Ketosis takes place when your body has run out of carbohydrates. Instead, the liver transforms fatty acids into “ketone bodies” and these replace carbs as the body’s energy source. Putting your body into ketosis means your unwanted fat stores provide the source of fuel, literally burning your own fat for energy. This sounds good of course but there can be health consequences. One of the problems with a low carb diet is that some carbs are very good for us. Carbohydrates are the molecules in sugar, fibre, dairy produce, fruit, grains, and vegetables, and they are the body’s main source of energy. There are three main types of carbs; Sugars, Fibre, and Starches. The sugars and starches provide energy for the body and although Fibre is indigestible, it is important for digestive health and helps the body produce fatty acids which can also be used as an energy source. 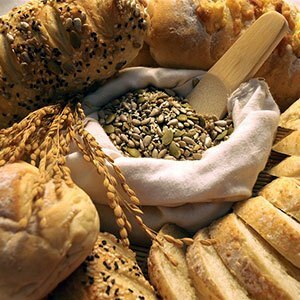 Carbs can be further classified into two groups, and these are simple carbs and complex carbs. Simple Carbs or refined carbs are the carbs in foodstuffs such as white bread and pasta, cakes, sweetened drinks, pastries, candy bars, and white sugar. These cause blood sugar levels to spike and nutritionists agree that a diet full of simple carbs is one of the major reasons of obesity and type 2 diabetes, when insulin becomes so overwhelmed with trying to process all that sugar, it packs up completely. Complex carbs, by contrast, are those found in fresh vegetables such as potatoes, green veg, whole food pasta and rice, fruit, and whole grains. These are sources of fibre which the body needs, and also nutrients and vitamins. Most low carb diets don’t distinguish between simple carbs and complex carbs, and cutting out ALL carbs means cutting out a whole food group and its associated vital nutrients and fibre. Complex carbs such as whole grains and beans have many health benefits. Fibre is great for causing you to feel full up and it also lowers the risk of diseases such as breast cancer, high cholesterol, and heart disease. We obtain nutrients from fruit, vegetables, and pulses that cannot be replaced by taking supplements. Tip: If you are following a low carb diet, remember complex carbs are your friend and simple carbs are your enemy. A recent study carried out in Germany found that low carb diets lead to premature death. According to the findings published by the European Society of Cardiology Congress in Germany, diets that are very low in carbohydrates may raise individuals’ risks of premature death over time. The research looked at health data gathered from 25,000 people, as well as seven different studies that added up to 447,500 people overall. Findings were that people who ingested less than 26% of their diet from carbs had a much higher risk of mortality and were 50% more likely to die from vascular diseases, and 36% more likely to die from cancer compared to the higher carb eaters. 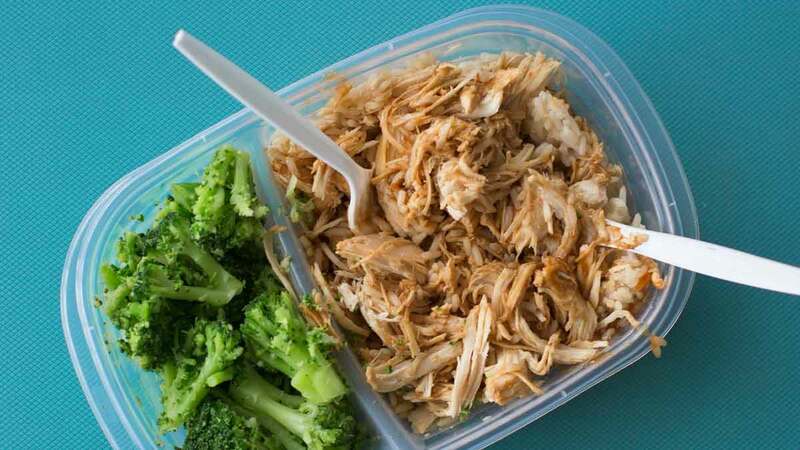 Stopping your carb intake can have a drastic effect upon energy levels. You are warned not to exercise in the early days because you are likely to suffer from fatigue. In addition, you can experience other side effects such as headaches, constipation, cramps, dehydration, diarrhoea, bad breath, or flu type symptoms. Many people report finding it difficult to concentrate and experience irritability. Added long-term concerns include the erosion of bones caused by a lack of calcium, and the increased risk of gallstones and kidney stones. There are some serious health risks associated with ketosis. If your ketones build up in the blood, it can lead to a condition called Ketoacidosis which is most commonly seen in type 1 diabetics when they do not have their insulin. Ketoacidosis, if left untreated, leads to coma and death. Although you are encouraged to use ketostix the same as used by diabetics to measure blood keto levels, this seems a very extreme and unsafe way to lose weight. If you cut out carbs completely, it is going to be hard to keep to a normal diet and although you may lose weight initially, an extreme diet like this is hard to stick to. All extreme diets are doomed to failure because when we fall off the diet and start eating normally, the weight just comes piling back on. The best way to lose weight and to keep it off is to make changes to your diet that you can live with. For most people, forgoing all carbs will simply be too difficult to stick to. So, is it worth following a Low Carb Diet? Yes… and no! It is certainly worth cutting down on carb consumption. Reducing carbs obviously has numerous benefits for weight loss, yet cutting out carbs to the extent of going into ketosis is not without risks and low carb intake does not seem to lead to a long and healthy life either. It is a paradox. The low carb diet has been studied and seems to cause nothing but good. Many people have followed a low carb diet have lost weight and feel healthier, yet the German study cannot be ignored. This looked at thousands of people over time and reported that a low carb diet of less than 26% of nutritional carbs a day is not good for health. This suggests that although you may be thinner, there is a strong chance that you will die earlier. However, it is important to point out that many high carb diets are just not healthy either. They rely on white bread, breakfast cereals, fast food, snacks, and refined carbs, and these do come with the associated risk to health, including premature death and numerous diseases including type 2 diabetes. The answer seems to be to avoid refined carbs and sugars and to cut back on general carb consumption eating complex carbs such as whole grains, pulses, legumes, fruit, and fibres in a mixed and healthy diet. 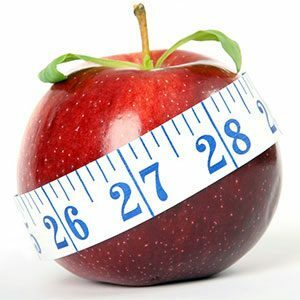 That way you should lose weight without any risk to health. This is backed up by the medical journal the Lancet, which advises we should moderate our carb consumption rather than cut out carbs completely.